Relief for patients with rare genetic disorders are often out of reach, due to the expense of developing genetically engineered animal models. That's why the Rare Genomics Institute, Taconic Biosciences, and Jonah's Just Begun came together to develop and characterize a model of Sanfilippo Syndrome. Sanfilippo Syndrome is a progressive, devastating rare genetic disorder affecting approximately 1 in 70,000 children. There are four subtypes of the disease, with type D being the most attenuated form. Sanfilippo Syndrome subtype D is caused by mutations in the GNS gene, which encodes for an enzyme called N-acetylglucosamine-6-sulfatase. Deficiency in this enzyme results in the accumulation of long chains of sugar molecules inside the lysosomes of every cell, ultimately leading to progressive degeneration of the central nervous system. Affected children will eventually lose the ability to walk, talk, and eat, often requiring feeding tubes to prolong their lives. Currently, there is no FDA-approved treatment for this fatal disease. As with many genetic diseases, the path for a cure of Sanfilippo Syndrome starts with generating an appropriate animal model mimicking the human pathology. Out of the four types of Sanfilippo, type D is best positioned for an effective treatment; it is hypothesized that a small increase in GNS activity could dramatically improve patient's lives. Due to lack of federal funding–a limitation often plaguing rare genetic disease research programs–no mouse models for the GNS gene were available until very recently. 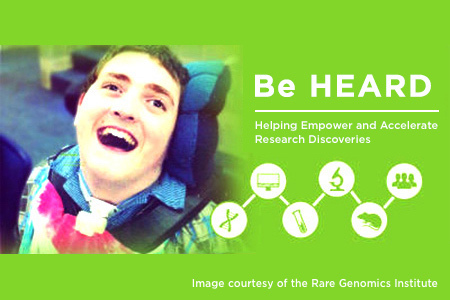 In 2014, as a part of the Rare Genomics Institute's BeHEARD challenge, Taconic Biosciences awarded a technology grant to Jonah's Just Begun, a foundation dedicated to the search for a treatment of Sanfilippo Syndrome. This grant allowed the foundation to tap into Taconic's deep scientific expertise in custom model design and generation. A knock-out mouse lacking the exons 2-13 of the GNS gene was generated on a C57BL/6NTac background by Taconic and characterized by a scientific team led by Jodi Smith and Matthew Ellinwood of Iowa State University and Patricia Dickson of UCLA. Published in the February 2016 issue of Molecular Genetics and Metabolism1, the team confirmed the inherited recessive pattern and expected pathological phenotype of the GNS -/- model. Preliminary data obtained using Taconic's GNS -/- mice have also been used to support a successful application for a NIH grant aimed at the development of experimental therapies for Sanfilippo D, therefore increasing the momentum for finding the cure for this crippling disease. Taconic's Sanfilippo D mouse model is only one of the many examples of how animal models are essential to advance critical research aimed at treating clinical debilitating conditions. This pressing need for in vivo systems to develop effective therapeutic treatments is the reason behind Taconic's renewed commitment to the BeHEARD challenge and to the generation of relevant mouse models of rare genetic disorders. 1. Jamil M, Snella EM, Le SQ, Kan SH, Birtcil BC, Dickson PI, Ellinwood NM, Smith JD. (2016) Initial characterization of a murine model of Sanfilippo syndrome type IIID shows similar pathology to other murine models of Sanfilippo Syndrome. Mol Gen Metab. 117(2): S61. ← Congenic Mice: What's in a Name?